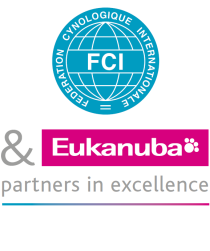 The FCI Asia and the Pacific Section Show 2014 was organised by the Japan Kennel Club in Tokyo over the weekend of Saturday, March 29 and Sunday, March 30. 1900 - DECHAMBRE published his excellent volume of Zootechnie Générale (General Zootechny). The second edition was published in 1910. The International Dog Show in Salzburg is the second regular feature of the Austrian show calendar, and as of this year will always take place in April.